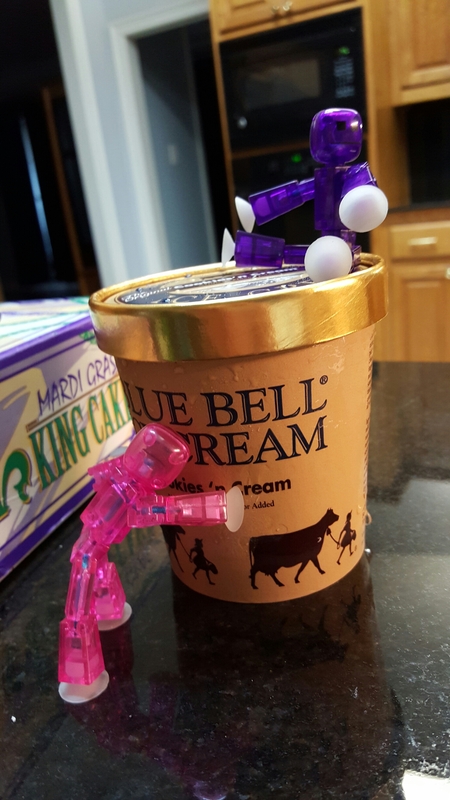 King Cake vs. Blue Bell Ice Cream!!!!! How will the Traverse Family decide on which on to try first? They have never seen a King Cake before. It is so big, but will it be enough for four bots? Ohhhh! Cookies and Cream Blue Bell! They want to know who purchased the small size. There are four bots. 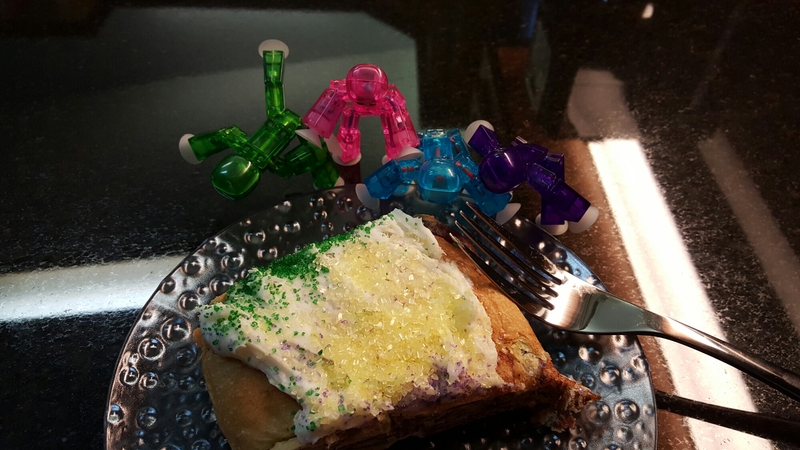 Four out of four bots would recommend the King Cake from Alexander’s Highland Market. It was fresh and melts in the mouth. 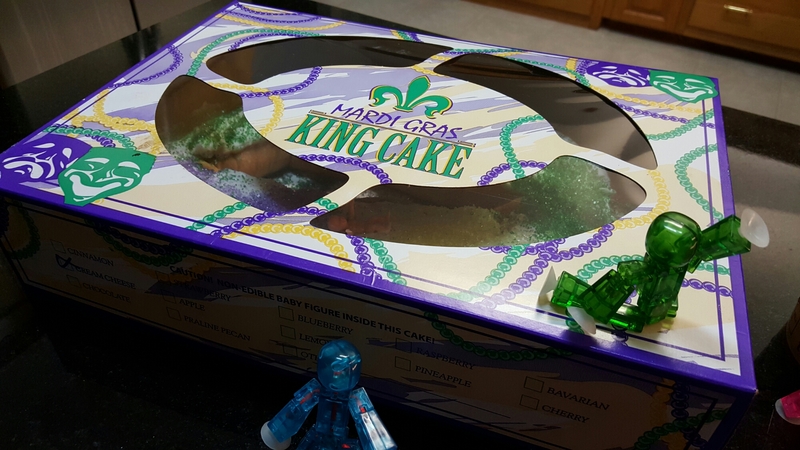 They would also recommend buying a variety of King Cakes in different favors so they can decide which is their favorite. 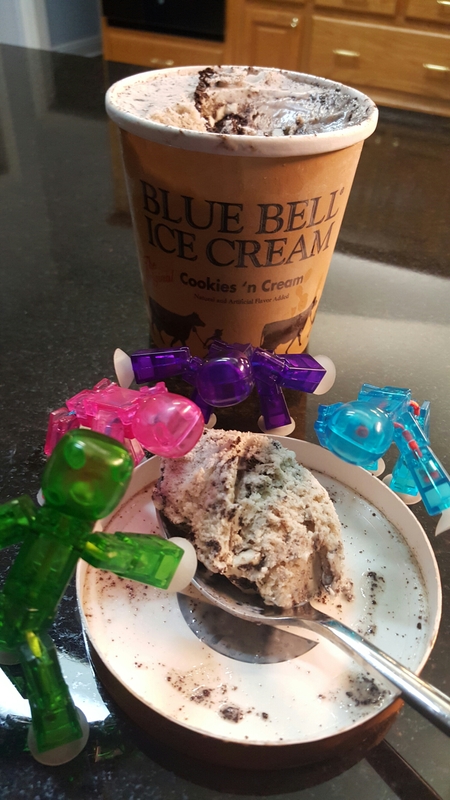 Four out four bots would recommend Blue Bell Cookies ‘n Cream Ice Cream. It has chunks of chocolate and litlle cream pieces that makes bot fall down in enjoyment. When purchasing Blue Bell Ice Cream, the Traverse Family insisted that a least one gallon be bought for each bot. They understand that it comes in half gallon cartons, they would like multiple favors. 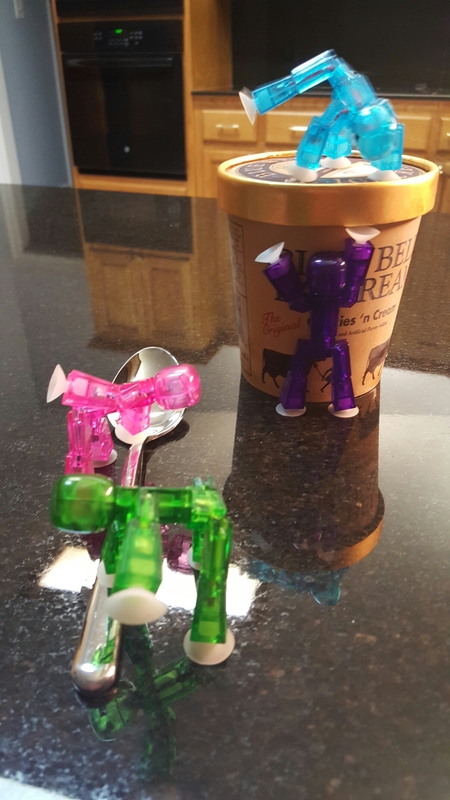 The Traverse Family does not recommend dropping any King Cake crumb or Ice Cream on countertop or floors. That would be a waste of such yummiest.